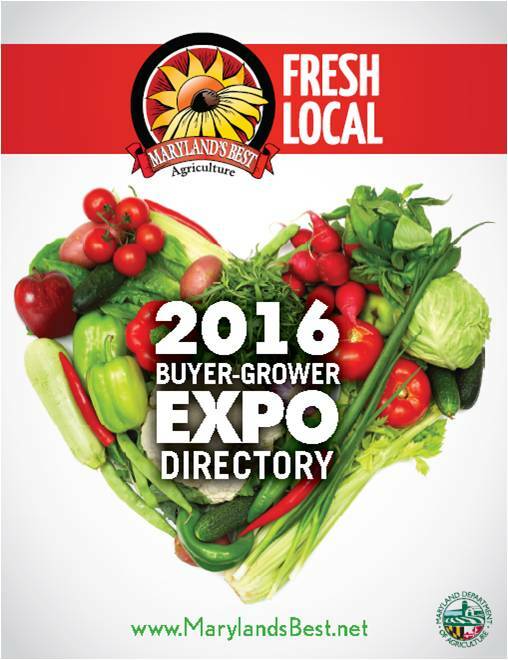 The Maryland Buyer-Grower Expo Directory contains all of the preregistered exhibitors and attendees from the 2016 Expo. Exhibitors include growers, processors, and watermen with products ranging from fruits, vegetables, meats, cheese, oysters, specialty products, and more. Buyers include wholesale buyers from grocery retailers, restaurants, schools, and other venues.